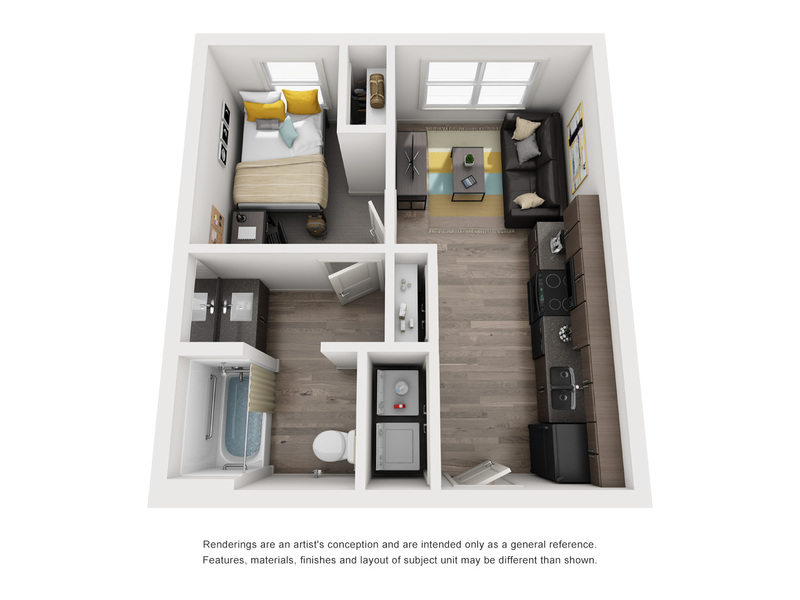 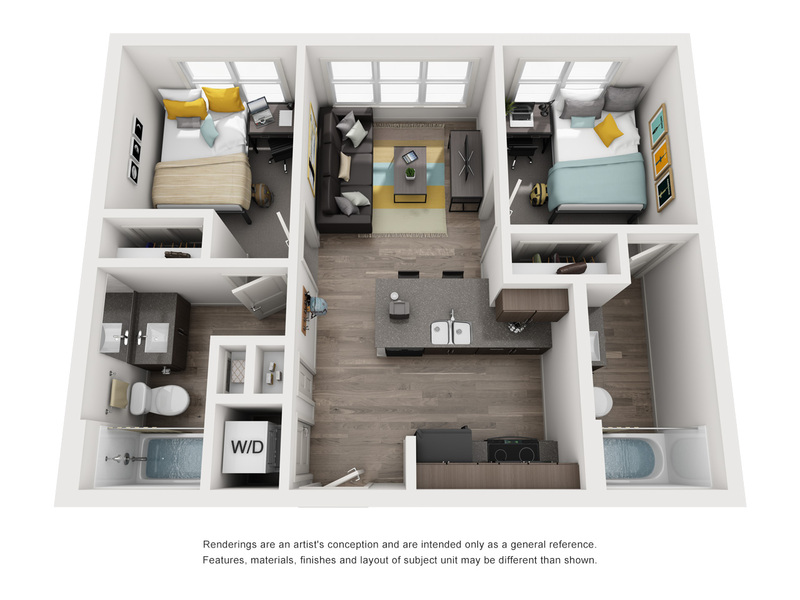 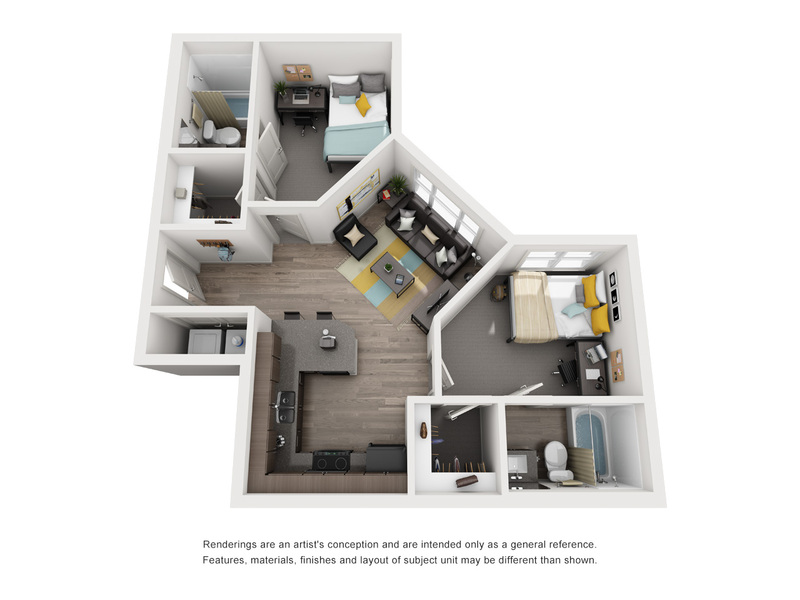 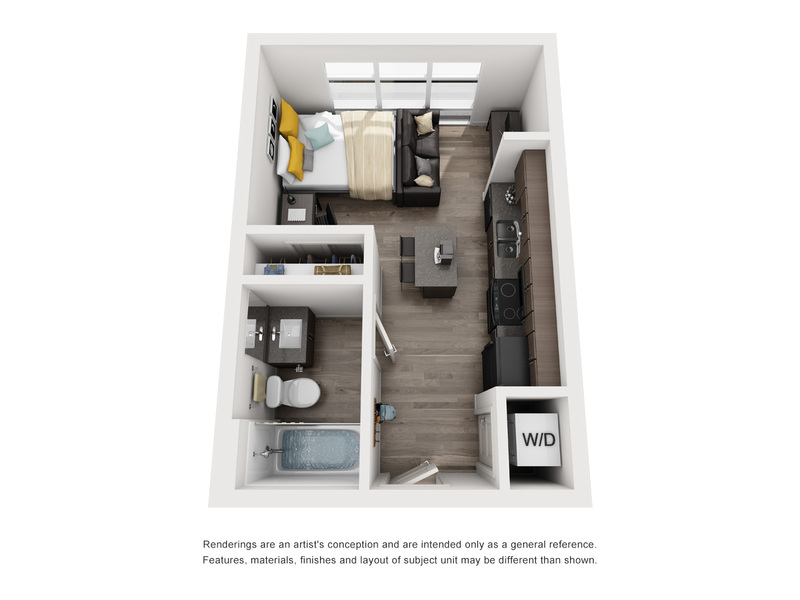 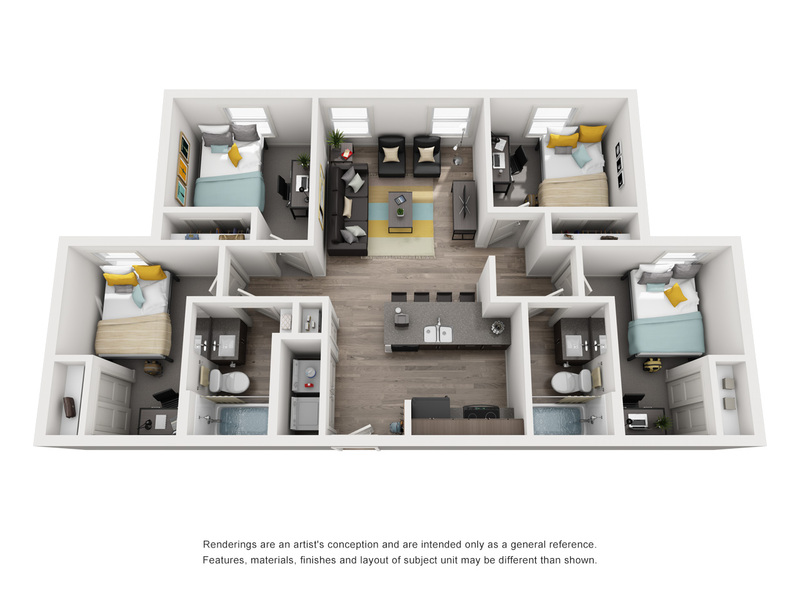 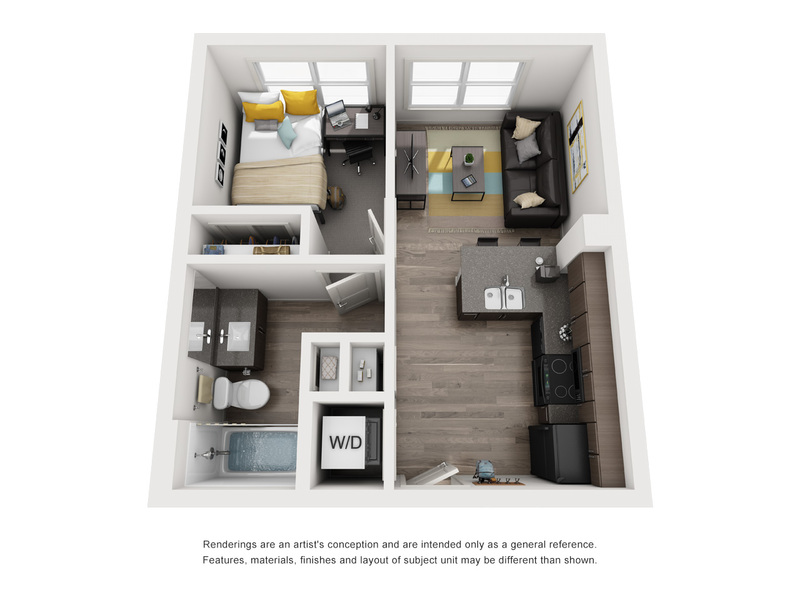 Explore a variety of studio, one-, two-, and four-bedroom floor plans so you can find the one that fits your lifestyle. 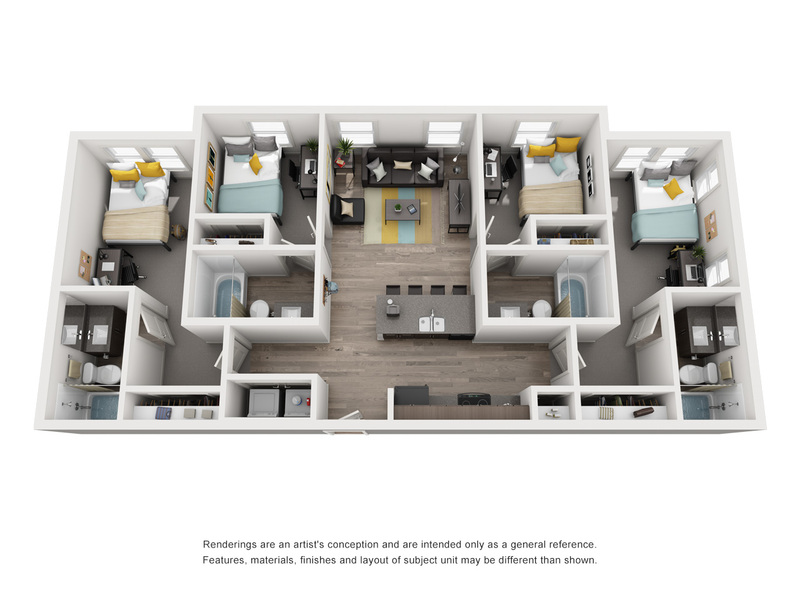 Each unit comes fully furnished and features bedrooms with individually paired bathrooms and study desks, fully equipped kitchens, and a cable/Wi-Fi package. 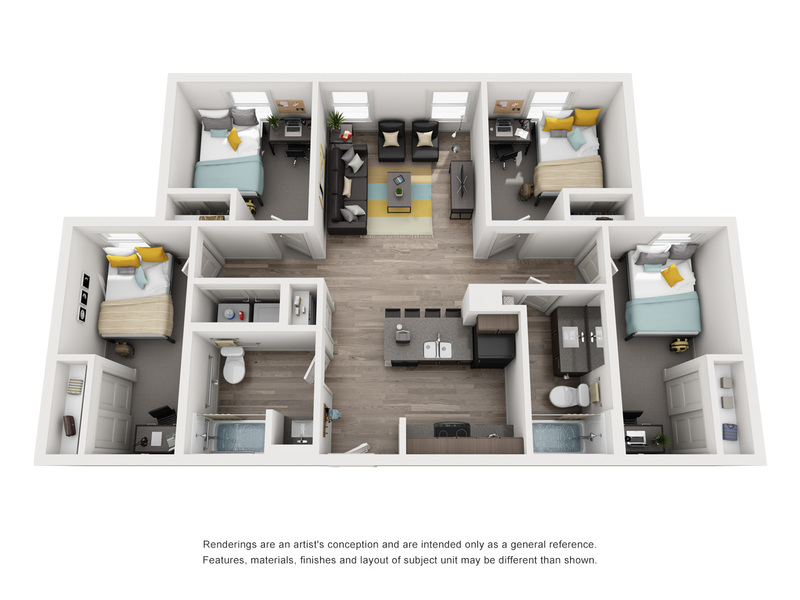 Lease with your friends, or use our sophisticated roommate-matching program to be paired with roommates sharing similar interests and lifestyles.